Are you looking for Free Best WordPress Mobile Plugins ? It is not easy to chooice because there are several WordPress plugins designed to let you create a WordPress mobile site. But here is the top 20+ best mobile plugins for your WordPress you can trust. Stimmy is a premium WordPress plugin that generates a responsive mobile menu using your theme standard menu as source . Navigation is very important part of user experience and Stimmy makes it easier for small screens. 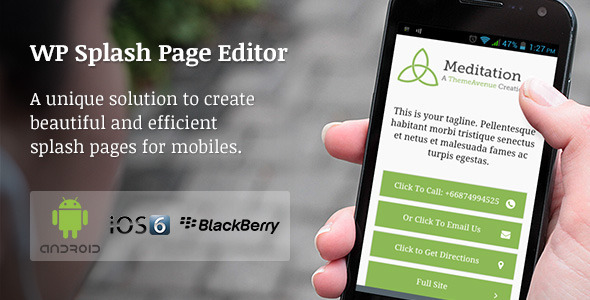 WP Mobile Splash Page Editor is a unique solution to design beautiful and efficient landing pages for mobiles. This plugin can transform any WordPress site in a super-fast loading mobile landing page. 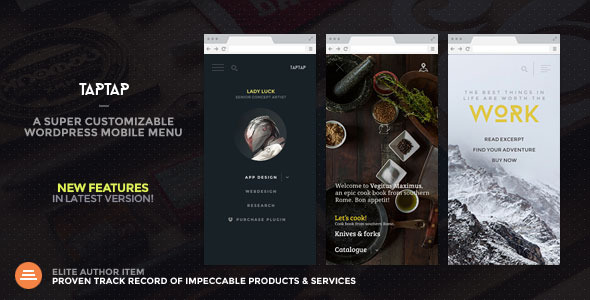 Touchy, a mobile-first menu plugin for WordPress. While fast, reactive and primarily meant for touch devices, Touchy can also be used on a full-blown desktop site as it’s been tested in a variety of browsers to ensure it works the same everywhere. 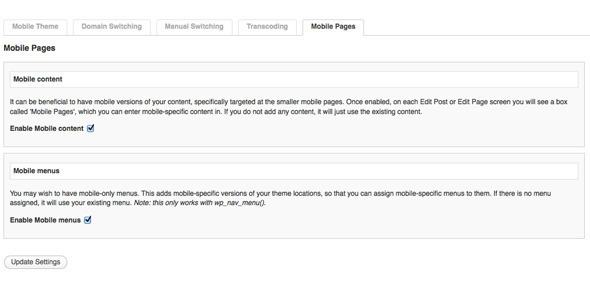 WP Mobilize allows you to easily create mobile versions of your website straight from WordPress admin section. Create as many sites as you like and save them as custom post types within WordPress admin. The Mobilize plugin uses CSS3 only to generate a mobile menu from an existing WordPress menu and displays it for resolutions lower than 720px width (customizable). Mobile Content plugin allows you to use shortcodes to display different content, in your posts, pages, or widget areas, depending on the device it is being viewed on. Using these shortcodes you can specify to only show certain content to computers, tablets, or mobile phones. WPtouch is a mobile plugin for WordPress that automatically enables a simple and elegant mobile theme for mobile visitors of your WordPress website. It provides a simple, powerful and elegant mobile solution for the WordPress sites. With it, you can transform a WordPress site to completely compatible for mobile devices such as iPhone, iPod touch, Android mobile phones, Blackberry OS6+, and more. It helps the WordPress to be more friendly to mobile devices, completing with Ajax loading articles and viewing smoothly. WPTouch also includes an admin panel which allows users to customize the appearance, and deliver a fast, user-friendly and fashion site to touch mobile visitors, but without modifying a single bit of code of the regular theme. Moreover, the plugin allows visitors to switch between WPTouch view and the regular desktop theme. 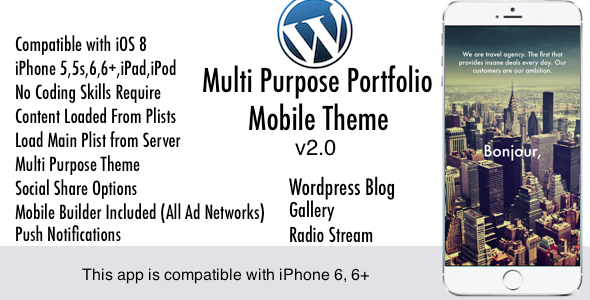 The WordPress Mobile Pack is a complete toolkit to help mobilize your WordPress site. It has a mobile switcher, themes, widgets, and mobile admin pane. It includes a mobile switcher which automatically suggests desktop or mobile presentation, but let’s users switch to the other if required. It also has a standard mobile theme for WordPress sites, which is developed by the top UK mobile design team – Ribit, and a set of advanced themes for Nokia and WebKit devices, which looks also beautiful on Android, iPhone, and Pad devices. Besides, it also contains a mobile admin panel which allows the webmasters to access the admin interface via a mobile device, with simplified access to the most common features like editing a post or approving comments. With the mobile ad widget, you can easily promote your site with mobile ads as AdMob or Goggle’s Mobile Adsense. After all, using this plugin, your site can be automatically listed on mpexo, which makes it easier for users to discover that you have a mobile friendly site. So that you can drive more traffic to your site. UppSite helps you better reach and engage with your audience on mobile devices, such as iPhone, iPad, Android and Windows Phone. 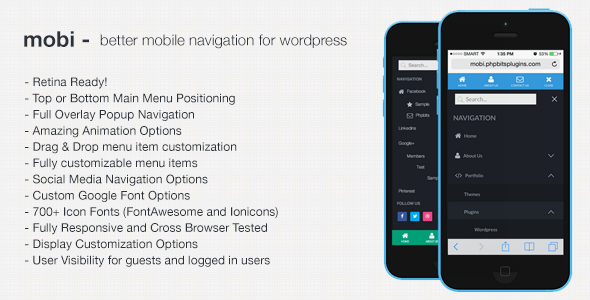 Mobile for WordPress by UppSite turns your WordPress site into powerful mobile apps (native and HTML5), so anyone accessing your site from a mobile device enjoys the best user experience. Install this plugin to enjoy the most comprehensive mobile presence available as UppSite delivers the easiest, fastest and most advanced way to turn your WordPress site into customizable native mobile apps for iPhone, iPad, Android and Windows Phone devices, as well as native-style HTML5 apps (also known as webapps or mobile sites) for mobile web browsers. This plugin contains an installer which will configure everything automatically, and all you need to do is install and activate it. It also ncludes the Jester Mobile, Anakin Mobile, Casper Mobile, Colbalt Mobile, Mojo Mobile, Viper Mobile, and Bluesteel Mobile advanced mobile themes, and all are featured with the jQuery framework. With these features, your sites can impress visitors with the collapsible plugins, dynamic page loading, cross platform compatibility, touch friendly layouts, widgets and more. Besides, it has 7 mobile themes pre-installed and you can select any of them freely. It can automatically formats your website content and resizes the images to suit the mobile devices, and has excellent mobile statistics including unique visitors, visits, mobile search engine bots, and more. 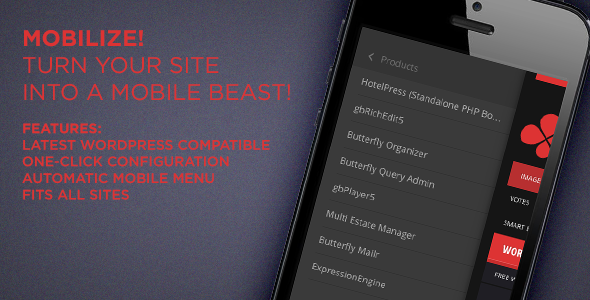 MobilePress is a plugin for WordPress that renders a mobile friendly version of your WordPress website or blog. It allows for custom themes and a few other mobile friendly settings. WordPress theme developers can use the MobilePress plugin to create custom mobile theme for WordPress sites. Developed by Crowd Favorite, this plugin has got a clean user interface that is designed for mobile devices. When a person visits your site from a mobile browser, it automatically detects the browser and loads the mobile version of your site. You can edit the list of mobile browsers in the settings page. This plugin enables particular theme to load on a specific mobile browser or device for example iPhone, Windows Mobile, Opera Mini web browser and other mobile web browsers. This WordPress plugin enables you to access admin user interface on mobile devices in a users friendly manner. This plugin is especially developed for the browsers on the iPhone and iPod Touch devices and it supports most of the other mobile browsers at basic level. Mobile Admin supports most of the basic WordPress admin features like editing posts with auto-save feature, tagging support, comment moderation, and more. This WordPress plugin, once installed, will detect any mobiles phone having access to your site and it will redirect it to the Mippin server. Mippin will then rearrange your web page and its contents to suit the cell phone type. For example, if your website has images, then Mippin will re-size the images to fit the mobile screen and videos are converted to 3gp format such that users can have a comfortable and quick access to your site. Wetomo plugin will automatically detect when a user is trying to access your URL from a mobile phone. Wetomo will act as a proxy between you and the user, modifying your blog to suit the handset of the user such that your blog looks great on any of the mobile browsers. This plugin is designed to make your WordPress blog mobile internet ready. It will detect when a user is accessing your blog via a mobile phone. It automatically sends a template which is optimized for mobile devices. It tries to re-size the images in your blog to suite the mobile phone or else it removes them completely if the mobile browser does not support images, such that your users can access your blog without any problem.